Pro style dumbbells are a standard item for many commercial gyms. With straight handles and round heads, these are a favorite of many athletes and weight lifters. Handles are normally made of steel with deep knurling for a better grip. Several variations are available, including Urethane Pro-Style Dumbbells, Rubber-Encased Pro-Style Dumbbells, Cast Iron Pro-Style Dumbbells and Solid Steel Pro-Style Dumbbells. 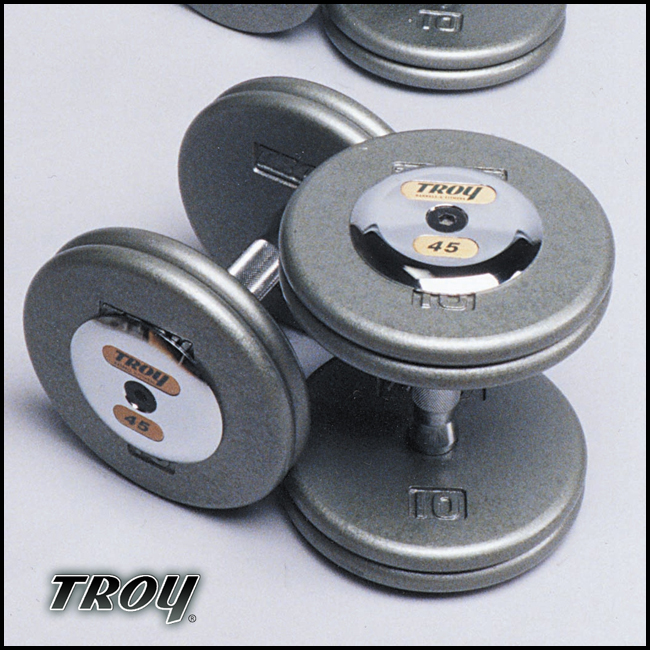 Pro style dumbbells are available in weights from 5lbs to 200lbs. 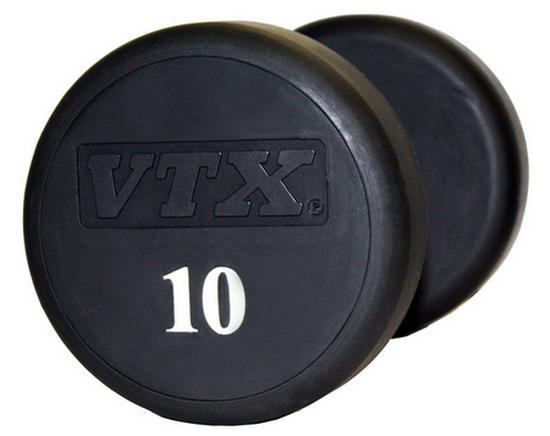 If you are looking to pushing a lot of weight, these are a great option. Browse our selection from quality brands such as Troy Barbell, GP Industries, and VTX.